Poker in Australia has really taken off, much the same as it has in the US and all over the world. While we have been caught up in this latest Poker Boom the fact is, Aussie poker has been alive and well for years and we have produced a number of world class Australian poker players. Of course the poker craze has been helped along down under by Joe Hachem’s World Series of Poker win. Aussie poker has a new idol of its own. Every poker player in Australia wants to emulate Hachem’s win and who can blame them? It was a massive field and a monster effort, Joe deserves to be congratulated and respected for his win. Well done from all of us here at All Aussie Poker. Hachem has been playing for over 10 years and has gone on from his WSOP Main event win to perform well in many other major tournaments around the world. Many questioned whether or not he was just a lucky “average Joe” or the real deal. It didn’t take long before the poker world knew Joe Hachem to be real force to be reckoned with at the tables. He followed up his Championship win with a narrow bracelet miss, 2nd place final table at one of the smaller WSOP events and a big win in the WPT $ 15,000 WPT Doyle Brunson North American Poker Classic. Not mention his success in other forms of the game – Joe has a number of cashes and wins to his name in disciplines such as HORSE and Omaha varients as well. His tournament winnings as of 2010 are in excess of $10.8 million USD. Joe Hachem is one of the Main line sponsored pro’s at PokerStars. Now some of you may not be aware of some of the other Aussie poker pro’s that have been playing for years, as well as some of the new young guns coming through. Below we will acknowledge some of these players. A name some of you will know, and a name you all should, Mel Judah. Mel has been playing poker since he was 14 years of age.He was born in Calcutta, India and now lives in London, but still calls Australia home. Judah is probably one of the most successful Aussie poker players ever. His tournament winnings to date exceed $3.2 million. He has won 2 WSOP bracelets in 7 Card Stud and has also holds a WPT NL Hold’em title one of very few who have the WPT / WSOP bracelet in their collection. The “Silver Fox” as he is known, made the final table of the WSOP Championship Event in 1997. 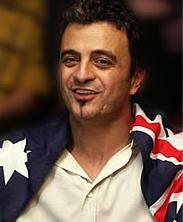 A great Australian poker player as well as a great ambassador of the game. Mel also created a new tournament format where players are able to cash out their chips for a certain value at any point in the tournament (“cashout tournaments”). You can find more information about this clicking the link below and downloading Full Tilt Poker software. 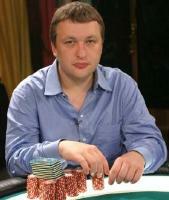 Next we come to Antanas “Tony G” Guoga. Tony was born in Lithuania and moved to Melbourne when he was 11 years of age and now calls Australia home. He started playing poker at the age of 18 and has gone on to have much success. He has placed in numerous major events including many money finishes at the WSOP and a WPT title to his name. In 2005 he won the European Poker Championships $5000 NL Hold’em Main event netting around $450,000. 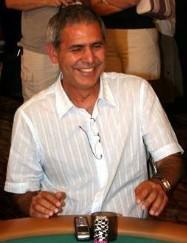 In 2006 Tony G also won the WPT Bad Boys of Poker 2 event. November 2006, he won the inaugural Betfair Asian Poker Tour in Singapore taking home again, over $450,000. To which he donated the whole amount to local Singapore Charities. He also gave the winning trophy to runner-up of the event, a Singaporean man, so that the trophy would stay local. He has won in excess of $4 million USD in tournament play, but is known to be a feared cash game player as well. He has also placed 5th for a money-back return of $100,000 in the 2010 Aussie Millions 100k Challenge event. His aggressive style and stiff table talk have led to him being dubbed “The Mouth from Down Under”. A technique of being the table captain and changing his opponents games, which he is notorious for. He is a successful and skillful Aussie poker player who has many more hands to play. Good on you Tony, keep that talk coming. Tony is also known for being the big boss of poker website pokernews.com. His successful poker career led him to become the co-captain of the Australian World Cup of Poker team in 2010. Jeff Lisandro is a Aussie poker pro hailing from Perth, although he now lives in Italy. Lisandro first learned to play poker at the age of 5. He is renown as a High stakes cash game player but has performed well in tournaments around the world. He has made several WSOP final tables and has finished in the money in a WPT event. He won a $10,000 WSOP event, beating Phil Ivey in heads up play. His tournament winnings to date exceed $4.1 million. In 2006, he was the last of the Aussie hopefuls, finishing proud in 14th place from a monster record breaking field. In 2007, he came all so close to his first bracelet, after his pocket Queens were outdrawn by Allen Cunningham’s K9 (read more), sending him to the rail in 2nd place in the $5000 World Championship No limit Hold’em event. Despite the 2nd place finished earlier in the Championships, Jeff backed up 11 days later to take his first WSOP bracelet in the $2000 Seven card stud event. Jeff is also a world class player and another Aussie poker player we can all look up to. 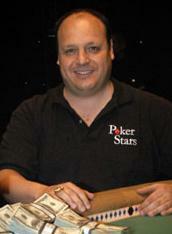 Jeff also won the 2009 WSOP Player of Year Award after winning an unbelievable 3 bracelets in one year. It was a truely remarkable effort as it seems every event Lisandro was entering seemed to turn to gold for him. It was 2009 WSOP that cemented him as a truely world class poker player. Apart from the well established Aussie Poker pro’s there is an uncountable amount of new players flocking to the game. In particular there is a huge contingent of young Australian poker players on their way up. With the quality poker literature that is available today and the ability to play poker from home on the Internet, we will be sure to see many more talented Aussie poker players in the near future. As well as having some great poker players who reign from the Land Down Under, we have a budding local poker scene. Crown Casino in Melbourne has a world class card room and run regular tournaments, ring games and of course the major Aussie Millions Championship Event. You now have the option of watching or even playing big money tournaments at almost every major casino in Australia or nearby countries. The ANZPT (Australia & New Zealand Poker Tour), the APPT (Asia Pacific Poker Tour) and the Asian Poker Tour all have big tournaments open to anyone to buy-in or qualify online. Recently we have also seen the rise of a number of Australian Poker Leagues being played at pubs and clubs around Australia. These have been received with great enthusiasm and membership numbers grow each week. There is now plenty of opportunity for any poker addict to get their poker fix any night of the week. Its all free poker, and anyone can win big prizes. Its great to watch poker continue to grow in Australia. Who knows how long it will be before we see Aussie poker players consistently making big poker tournament final tables or even the next Australian poker World Series of Poker Champion.